This topic has 2 voices, contains 1 reply, and was last updated by TB Support 368 days ago. I am having an issue with the Facebook like box. It used to work flawlessly, but now, out of the blue, the profile images of the facebook likes don’t show up anymore. I tried removing facebook like box and adding it again. Nothing changed. When I use the option of my page banner from facebook, that works fine, but no images are showing. Any ideas? Sadly profile images of people that like a facebook page cannot be displayed anymore. It seems that Facebook has changed their policy and from now on only friends faces will be shown. This however is applicable to only the native Facebook page plugin and not the custom design implementation. 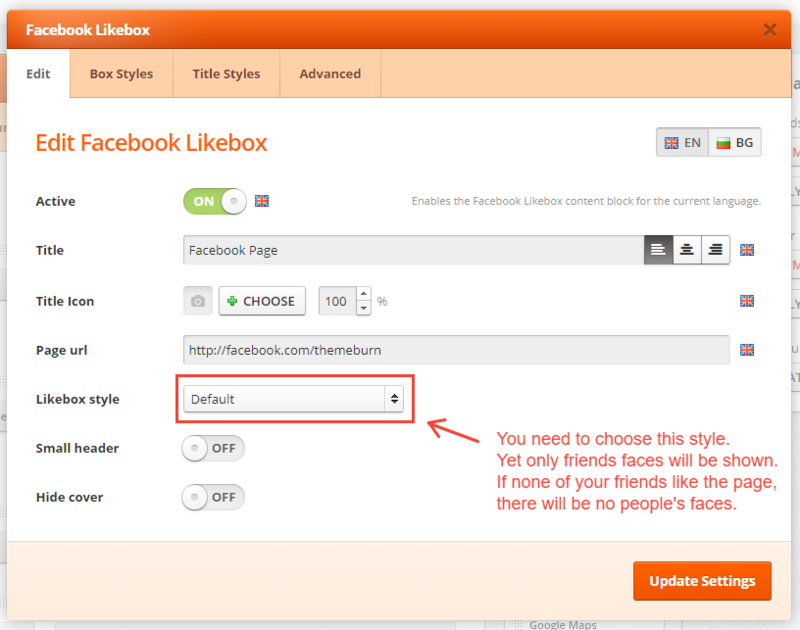 Following these changes we will remove the option to have a custom styled Facebook plugin in the next theme version.